Rising to the Tap – Save the Date!! Save the Dates!! Andrew’s new solo show will debut at Tribeca Performing Arts Center on December 15th and 16th, 2017. 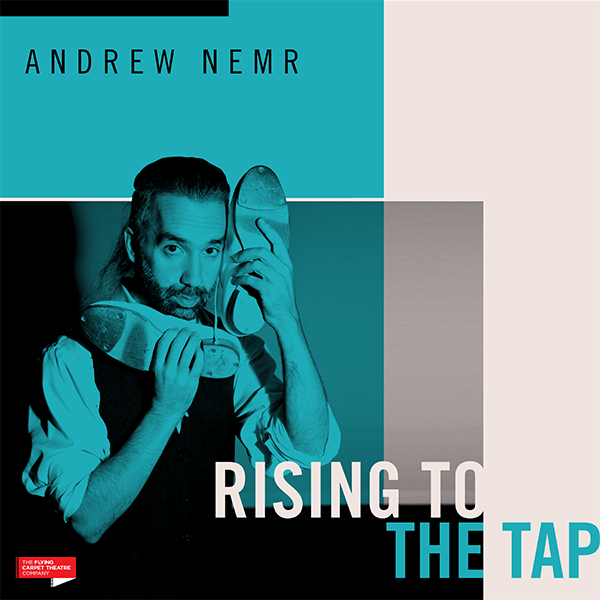 Developed and produced by Flying Carpet Theatre, with additional support from the CUNY Dance Initiative, Rising to the Tap combines storytelling, tap dance, and physical theatre to explore themes of identity, bullying, and the immigrant experience. The show has an awesome team behind it with writing by Adam Koplan and Andrew Nemr, original music by Or Matias (most recently see in Broadway’s Natasha, Pierre & The Great Comet of 1812), direction by Adam Koplan, and choreography by Andrew Nemr.